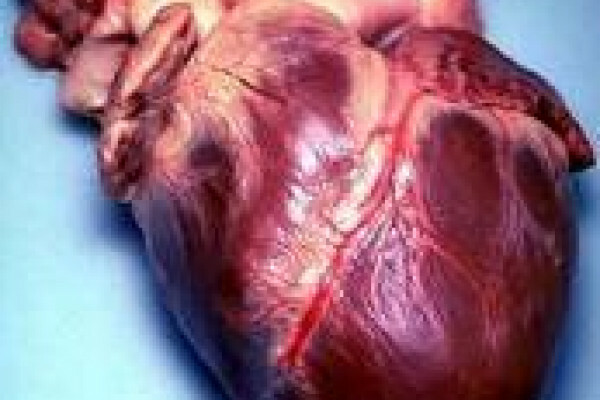 Scientists have successfully grown a new heart in the laboratory. The researchers, from Harvard and the University of Minnesota, first used a process called organ decellularisation to remove all of the existing cells from the hearts of dead rats; this was achieved by perfusing the organ with a mixture of detergents which broken open and washed away the dead heart cells but left behind a scaffolding of connective tissue from which healthy new cells could be hung. The scaffolding was then bathed in a nutrient culture solution and injected with stem cells harvested from the hearts of newborn rats. Over days to weeks the stem cells divided and began to colonise the heart scaffolding, turning into new heart cells as they did so. Within eight days after the cells were injected the team could see pulsations as the developing heart cells began to beat, and the cells also responded to the administration of adrenaline-like drugs that affect the behaviour of normal heart cells. The researchers, led by Doris Taylor, now hope that the technique could be used to repair damaged hearts in humans. "We used immature heart cells in this version as a proof of concept," says Taylor. "Going forward, our goal is to use a patient's stem cells to build a new heart." This would help to avoid the problems of immune rejection of donated organs. But can the technique be scaled up from a rat to something the size of a human heart? Yes, say the researchers who have now successfully used the technique on a pig's heart, which is similar in size to our own. According to team member Harald Ott, "we just took nature's own building blocks to build a new organ."